Leave your mark on the world with this Fantastic Beasts and Where to Find Them Newt Scamander Monogram Pendant Pin. The Art Deco-inspired monogram features artwork from the movie Fantastic Beasts and Where to Find Them. Excellent choice for everyday cosplay or as a fashion statement. Makes a great gift for fans of J.K. Rowling's Wizarding World! Why choose between a pin and a pendant when you can wear one item both ways? 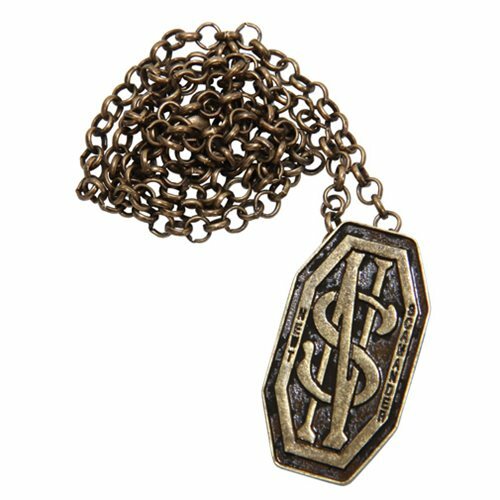 This Fantastic Beasts and Where to Find Them Newt Scamander Monogram Pendant Pin comes with a sturdy antiqued 20-inch brass chain and pin back.